Closely control oil and decrease friction with Comp Cams Roller Cam Bearings. 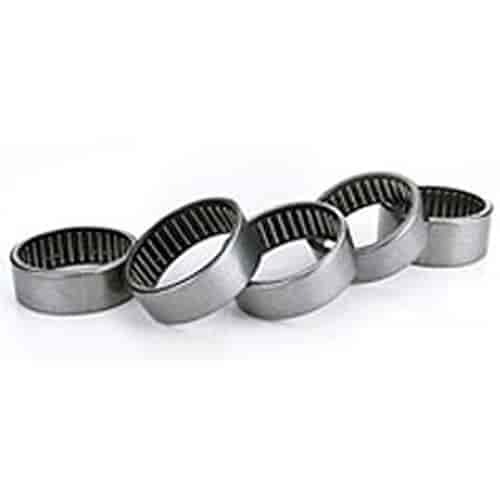 These bearings are easily installed with a steel jacketed and encapsulated design. Do I have to line bore the cam journal to install roller cam bearings. Yes, you will normally need to bore the cam journals to use a roller cam bearing. What would be a good cam to use with these bearings? Want a little bit of a rough idle. Any camshaft designed for a small block Chevrolet will work with these bearings. Concerning a camshaft, I would urge you to speak with one of our technicians at 1(800)345-4545 to make the proper selection that will fit your needs.